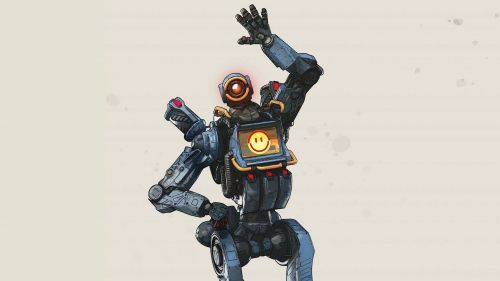 Apex Legends is the name of the hour right now. The game has become insanely popular in a short span and everyone has only good things to say about the game. However, the game is not at all easy and due to its champion-based system, it brings some complexity to the table. Pathfinder is one of the most unique champions in the game. His kit really revolves around being proactive in the game. New players might find trouble while using his kit but once you get a hold of it, Pathfinder is certainly top tier. Pathfinder, as the name suggests, is good in finding different paths or essentially making different paths for the team. Pathfinder's 'Q' ability allows the champion to throw a hook towards any structure or terrain (in a short distance). The champion then follows the hook to the targeted location. This may seem a straight forward ability at first but it is a game changer. The ability allows you to relocate during the fights. This will also allow you to flank from different positions. You can easily get to the high ground during fights and get yourself in an advantageous position. One thing to note about the grapple ability is that it's not stationary. This means when facing towards a different direction while grappling something, you will essentially conserve the momentum. This can help in covering a large amount of distance in a short period. Grapple can also you to get out of sticky situations. Pathfinder's passive ability is also super useful. You can activate the survey beacons which are spread along the map which will give you the location of the next safe zone. This is very valuable information since you already have a headstart. Pathfinder's ultimate ability will let the champion place a zip line which can be used by you or your teammates to travel around. This zip line covers a large amount of distance. It also has a very short cooldown so don't be afraid to use it.